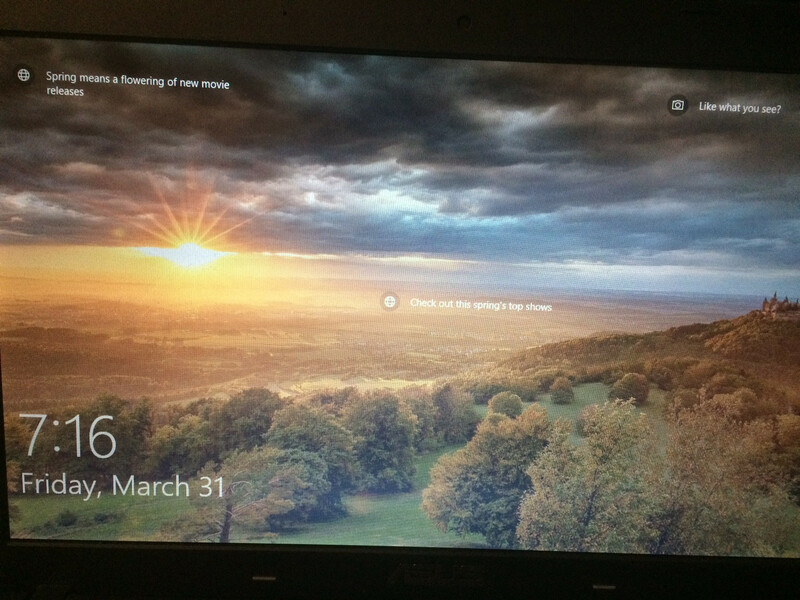 I saw this lovely photo on my windows 10 lock screen but I couldn't figure out its location. Clicking the "like what you see" button in the top right corner of the screen does not provide me any locational information. Please forgive me if this is a duplicate post. Also: sorry for the low quality photo. For some reason, my computer wouldn't allow me to take a screenshot of the picture, so I had to use my phone. Edit: This was marked as a duplicate. However, the post that supposedly had the answer to my question does not answer my question whatsoever. Again, clicking the "Like what you see?" button does not solve my problem. Also, clicking the "Spring means a flowering of new movie releases" does not give me any information about the image. Edit: I was wrong. 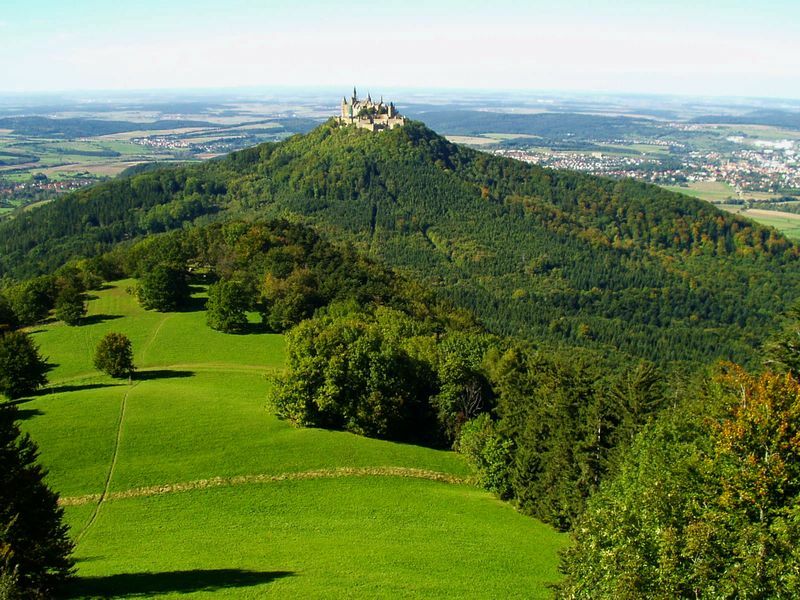 Here is the correct answer, it is Hohenzollern castle in the Swabian Alps. You can find almost the exact same picture here with Getty. It appears to have been taken from Zellhornwiese. The pic is labelled as "sunset", i.e. the view is towards north-west from the clearing. Note the characteristic foot of the castle hill when the tree height changes. One might even be able to match some of the trees in the foreground, see also the Google maps satellite view above. make me believe this is Bouzov castle in the Czech Republic. Note the castle in the right corner of your picture, and the vegetation matches with the Google maps of south of the castle. The shot would then be directed towards the sunset in the west.